Final Fantasy 7 Remake & Kingdom Hearts 3 to launch "in the next three years or so." 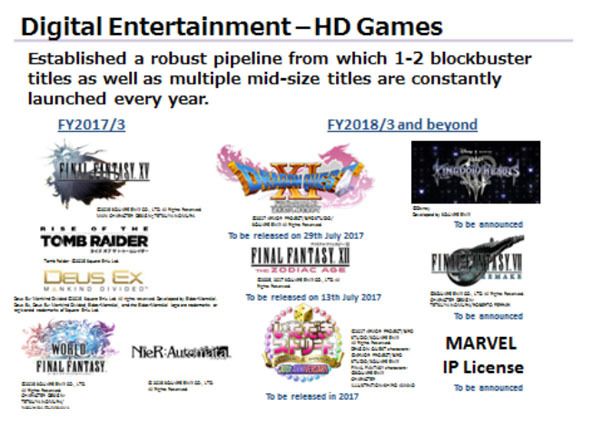 During a financial briefing for Square Enix's fiscal year ending in March 2017, Square Enix President and CEO Yosuka Matsuda addressed the company's plans for future titles. "This slide shows our release lineup for FY2017/3 as well as FY2018/3 and beyond. We plan to launch each of these upcoming titles in the next three years or so." Just What Is Square-Enix Up To? 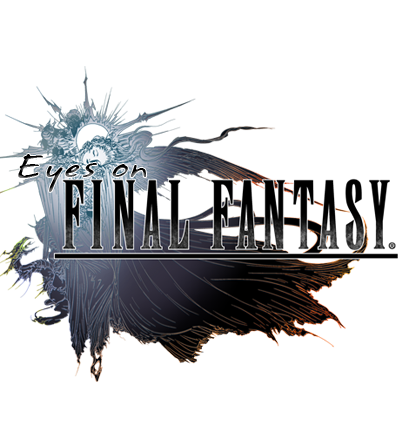 A NeoGaf user by the name of Square2015 released some data concerning the sales of each Final Fantasy game. This data focuses specifically on first month sales on the mainline entries barring the original two, and a few spinoffs. Notably, Final Fantasy XII, XIII, and XV rounded out the top three spots with Final Fantasy Tactics selling the least with only 49,000 in its first month. This data can show how much the market has changed over time and what points in time in the series had the most hype surrounding them. You can check out the list below.